When you look in the mirror, do you see a person who looks older than you feel? 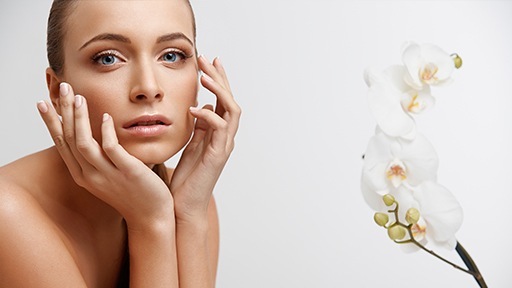 With revitalizing treatments from ECCELLA, you don’t have to. Every day, you laugh, smile, frown, and furrow your brow. These facial expressions convey your attitude, emotions, and personality to those around you, but these facial expressions (coupled with thousands of unconscious movements each day) create wrinkles, ridges, and sagging skin. Some cosmetic facial treatments remove wrinkles, but they also create a “frozen face,” leaving you without the ability to express your character or emotions. Luckily for patients at ECCELLA, Dr. Wagner and his Jacksonville Beach team offer Restylane wrinkle-diminishing and removal products. For deeper creases or “parentheses” around the smile, the cause may not be just muscle movement. These smile lines are typically the result of diminished soft tissue volume in the face. Over time, skin begins to sink into grooves in the bone. Restylane is a family of clear gel fillers that plump skin. Patients visit ECCELLA to determine whether Restylane will be beneficial. Our team prepares the treatment areas. A small amount of clear gel is injected. The gel is molded to reshape the face, restoring a naturally youthful appearance.